Education for children receiving a smartphone for the first time, design standards to meet childhood development milestones, and government taking account of children’s views when creating policy, are some of the key recommendations in a major and ground-breaking report led by the University of Southampton. The Digital Childhood report, led by Dr. Angharad Rudkin, Child Clinical Psychologist at University of Southampton, and convened by Baroness Beeban Kidron OBE, Founder of 5Rights, considers how growing up in a digital world directly impacts on a child’s development. It sets out key recommendations that put children at the young people at the centre of the digital environment, ensuring they are not left behind or overlooked. Commenting on the report, which will be officially launched at the Children’s Global Media Summit on Tuesday 5 December, Dr Rudkin says: “Children and young people need to be supported on their journey through the digital world and should have access to the same privileges, information and rights that they enjoy in the analogue world. “A child’s age and development stage and the impact the digital environment can have on a child’s wellbeing need to be taken into account when we are designing new digital platforms or considering changing policy. “There are so many new challenges that parents are facing today to do with the digital world that they did not experience themselves when they were growing up. This can make parenting, what can be an already difficult experience, even harder. The authors believe that the digital environment has created welcome opportunities for children and young people and excluding them from it is neither an option, nor desirable. While there is awareness about some of the more extreme risks, such as grooming and child sexual abuse, more mundane and prevalent risks tend to be overlooked, say the authors. These include insomnia, obesity, low self-esteem and oversharing. These risks present real harm to childhood development. For example, sleep deprivation caused by extended-use can affect concentration, performance at school and general wellbeing. Evidence shows that a ten-year old should be getting between 9 to 11 hours of sleep a night. All technology used by children at this age should be adult-guided. Children of this age should be taught social norms of contact with other people, both previously known to them and previously unknown. Child-centred design standards should anticipate independent child use, for example, make erasure processes obvious, simple and effective, and demonstrate a commitment to rapid response to reports of risk/harm from children. Children receiving a smartphone for the first time should be taught how to use age-appropriate settings and safety features and those entering secondary school should have a year 7 ‘smart phone literacy reboot’. Children in this age group should be taught online skills and competencies. Government and industry should recognise that this age-group are poorly served by current provision of online sites and services. Parents, teachers and adults should acknowledge this as a time of growing autonomy. For advice to be heard it must be communicated with warmth and openness and from a young persons’ perspective. 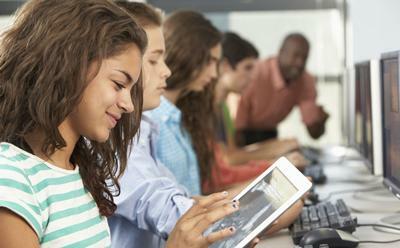 Education should include critical thinking about online experiences and information. Industry must acknowledge, and respond to the fact, that children of this age are particularly susceptible to social pressures. Education providers should offer career advice and training in automation, the internet of things, machine learning, digital content and design, as well as reputation management, use of government and commercial services, financial matters and knowing how to access trusted sexual, psychological and emotional health services. Industry should alert young people as they approach 18 years of age to the differences in the services that will come into place when they reach adulthood. 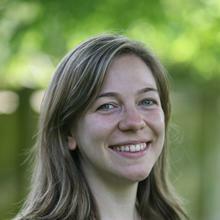 Dr Angharad Rudkin is a Programme Tutor / Child Clinical Psychologist within Psychology at the University of Southampton.